It is a long and fruitful tradition to consider emergent technologies as a driving force for progression in hydrographic appliances. The latest arrival on the scene is blockchain. 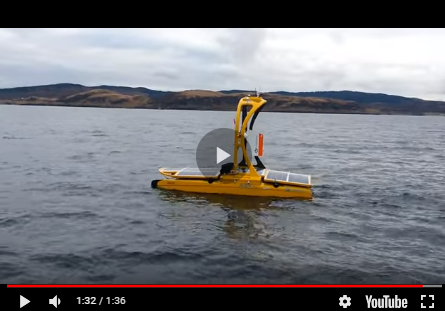 While this technology may certainly hold great potential for hydrography, there is considerable discussion about how, exactly. Read on for a new perspective on how blockchain will have an impact on navigation. It is a long and fruitful tradition to consider emergent technologies as a driving force for progression in hydrographic appliances. The invention of hydro-acoustic methods was made to measure the water depth of the Baltic Sea near Kiel; sea surveyors have been early adopters of any kind of radio position fixing devices including satellite-based systems; horizontal radar transmission is applied to measure wave characteristics and remote sensing is about to revolutionise the topographic measurements at sea. Finally, ECDIS was the first mobile geoinformation system based on vector data – long before the first navigation app on a smartphone arrived. Now it is blockchain. This technology may certainly have a great potential but in my view different from the designation Gert Büttgenbach is suggesting in his article. What I find misleading is his argument that blockchain should be instrumental in cracking a seemingly undue monopoly of national Hydrographic Offices for digital chart production hindering commercial success of private chart suppliers. The attribution of chart data as being ‘official’ is interpreted as a synonym for a protective measure – a closed shop from data collection up to dissemination of the final chart product. But this image does not meet the reality. Both components of nautical hydrography – sea survey, the most costly component of the provision of a hydrographic service, and digital cart production (of ENCs) – have, to a large extent, been tendered to private companies by many nations. The provision of ENC services is performed by private chart service suppliers and there are popular derivations from the applying IHO Standards S-57 and S-52 like b(athymetric)ENC and PortENC that are privately produced at the request of specific customers. The fleet of commercial vessels on international voyages that is mandated to carry official ENCs comprises approximately 100,000 units, not a huge market considering the whole range of all that sail for leisure amounts to more than two million units for France alone. This market segment is fully open to digital chart solutions by private suppliers. A simple search on the internet for ’marine navigation app’ provides dozens of hits – all based on private digital charts. The reason that IMO insists on the official status of nautical information for commercial shipping is simple: liability. Legally unlimited governmental liability is behind official nautical publications of any kind – whether printed or digital. Who else other than the governmental infrastructure could compensate potential losses and damages to the environment caused by ship accidents as a result of wrong navigational information? Surely no private company. It remains a viable concept that national Hydrographic Offices express their authorisation and liability by the attribution of their navigation products as being ‘official’. This attribute, however, has evolved into a second reputation: official data are widely understood as a synonym for high-quality data; produced with outmost care by highly qualified staff under rigid quality assurance to meet the high-class liability level designated to the final product. Those categories that build trust were developed over decades in a traditional analogue environment. But how can this quality level be quantified in a digital setting? With the arrival of autonomous shipping we have to expect, at least, the exchange of chart data between machines without much human intervention and an evaluation of quality. It becomes obvious that the quality label ‘official data’ is no longer sufficient to rely on. Instead, a comprehensive machine readable catalogue of data quality categories for all sorts of nautical information is required. With the big data issue for survey data in mind, such quality classification has to happen automatically as an inherent part of the data production process. The Member States of the IHO have started to face this issue with the establishment of a dedicated data quality working group. This group is mandated to consider any sort of digital datasets for navigation – not limited to ENCs or the isolated CATZOC problem. Finally, there is another challenge for marine navigation data, whether from ’official’ or private sources: cyber security. It appears to me that blockchain could be at the right place here. The traceable true facsimile multiple copy mechanism may support authentication of datasets and may facilitate the safety of navigation in a new digital sense. This contribution is a response to Gert B. Büttgenbach’s article 'How Blockchain Will Have an Impact on Navigation'.